"With Continental Computer Services as our PC Techs, we simply do not have to worry about our computers or the network. They do it all!" "I had a problem with new laptop I thought was windows 8 or possibly hardware problem. Turned out to be a major virus - Erik cleared up the problem." Computer maintenance services for computers in Tucson and beyond. What is Remote Computer Service? Please click here to see our new information about Remote Computer Services at Tucson.Computer. Cleanup and computer maintenance service to keep your computer running right. Managed Computer Maintenance saves you money! Maintenance scheduled for your computer each month at a time that works for you. We remember - so you don't have to! helps you to keep it running right. Why should I invest in Remote Computer Maintenance Services for my computer? Regular computer maintenance is critical. Without routine service, you leave yourself vulnerable to hackers, computer crashes, loss of valuable data, even i.d. theft. Poor computer maintenance management is costly. We remember to do the managed computer maintenance on schedule each and every month. We do the maintenance remotely from our office so maintenance doesn't have to mean interruptions. We provide you with a report of our actions and any findings that might be important to prolong the life of your computer. No more surprises! 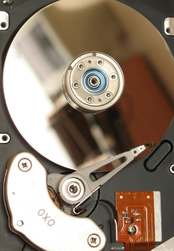 Managed computer maintenance can cut out those costly and inconvenient emergency repairs. Easy and convenient for you. You never have to leave your home or office. Minimize computer downtime and interruptions. You don't have to remember to do that much needed maintenance. See the 3 managed computer care plans below and then fill in the contact form -- we will call to complete the process and get started servicing your computer. You choose the computer service contract option that works best for you! Monthly security checks and cleanup, all done remotely from our office. Scan for/remove viruses, Spyware, Trojans, Worms, Malware, Grayware. Email monthly report of actions taken, used/free space on hard drive, RAM usage, Alerts and recommendations . Or sign up for a one year prepaid contract for just $150 - works out to $12.50 per month - like getting two months free! Looking for a little more security? Want a little more help adding users, handling passwords, or trouble- shooting when problems occur? Best Value for everyday use You get all Basic Maintenance items plus help setting up a backup system, monthly backup maintenance/reports, telephone support for internet and printer issues. Top Tier Service Best quality computer maintenance - plus support for your other devices, professional level malware protection for added security - and you get all your computer questions answered! This plan offers it all plus our lowest rate for site visits. Labor for home visits is flat $45 - you save $55 per visit - or more! Labor for covered devices delivered to our office is free! Just fill in the form below - or call and ask about our Computer Care Remote Service program. We will walk you through the three computer service contract plans and help you decide if this is a program that would be good for you. When you need local computer repair Tucson, call on us. listen to your needs - and understand how important your computer is to you.